"Like every other beautiful thing in our lives, love is definitely worth celebrating more than just once a year. Valentine’s Day is not just a celebration of love, but it’s also one of hope in everything that is right and beautiful." 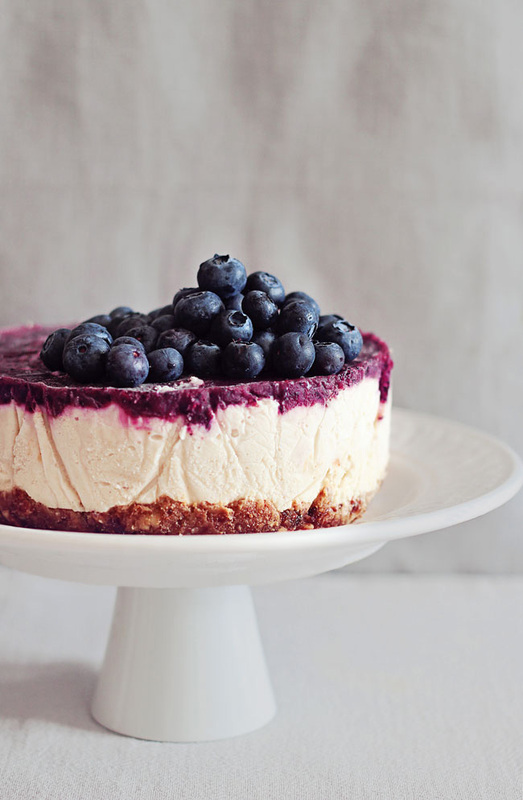 "This layered cake contains only six ingredients – dates, cashews, almonds, coconut milk, lemon, and blueberries. The taste is light and fresh, and I simply cannot think of any color combination more suitable for a celebration of love and spring than this pale lilac and white one." Get the full recipe by Ana from The Awesome Green blog.